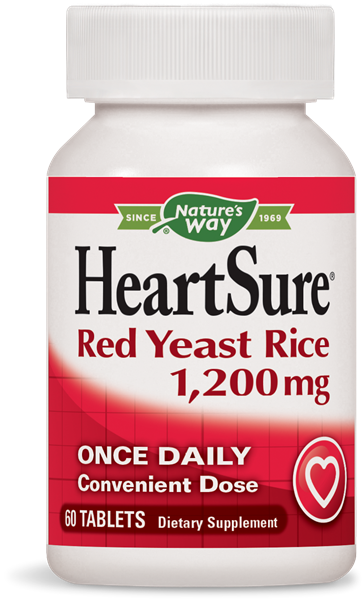 HeartSure Red Yeast Rice 1200 mg / 60 Tabs - Nature's Way®. Take 1 tablet daily. For intensive use, take 1 tablet twice daily. Caution: Do not use if you are pregnant, may become pregnant, or are breast feeding. Do not use if you have liver disease. If you are taking any prescription medication, consult a healthcare professional before using this product.